Mr Obi Somto was born on August 1, 1988, in Lagos and holds a degree in Banking and Finance from Babcock University. He is not just a photographer but is also into the art of drawing, painting, moulding, and carving. He launched his career as a graphic designer and illustrator who brings a unique blend of experience, vision, and distinction to his style of photography. He has photographed several Nigerian celebrities and dignitaries, including former president Goodluck Jonathan. Adeola Olagunju is a rising photographer who lives and works in Lagos. Her images speak volumes as they stage the photographer’s attempt to break free from “mental shackles.” Her works have been exhibited at Lagos Photo and she won the Young Artfund Amsterdam Award in 2013. Kelechi Amadi-Obi is one of the most popular celebrity photographers in Nigeria. He holds a Law degree and was called to bar in 1993, however, his passion lies in full-time studio art. He has earned international renown for both photography and painting. Kelechi Amadi has a huge list of reputable clients he works with and they include Guinness Nigeria PLC, MTN Nigeria PLC, PZ Nigeria PLC, British American Tobacco, The Ford Foundation, Prima Garnet Ogilvy, SO&U, Insight Grey, Nigerian Flour Mills and Orange Drugs Nigeria Ltd. In 2011, Aisha Augie-Kuta won the Future Award for Creative Artist of the Year for her Faces of Africa portrait series, a collection of portraits of female faces elaborately painted to re-enact the vibrant patterns of the Surma Tribe of Ethiopia. She is based in Abuja and has a mixed-race, mixed-tribe experience. Her latest project offers viewers a glimpse of the unseen side of the Fulani mud huts in Abuja, which, from the outside, appear to blend into the landscape. TY Bello is most recently known for bringing to the limelight and transforming a bread seller, Olajumoke Orisaguna, to a model. She is a singer as well as a fantastic photographer. The Ogun State-born Nigerian is a member of the Nigerian photography collective, Depth of Field. She attained a degree in economics from the University of Lagos and briefly practised journalism before settling for photography. The former member of the defunct group Kush, is the official photographer to the Former President of the Federal Republic of Nigeria, Goodluck Jonathan. She also works for Thisday fashion magazine. George Osodi is an internationally acclaimed photojournalist whose daring and honest images have changed the face of Nigerian photography. After he returned to his home in the Niger Delta, Osodi spent four years capturing the environmental degradation of the region caused by multi-national oil firms. More recently, Osodi has turned his focus to the urgency of documenting and archiving traditional Nigerian culture. His Nigerian Monarchs series captures the ‘visual drama’ of the diverse traditional cultures enshrined in these royal structures that, though stripped of constitutional powers in the 1960s, point to the deep roots of Nigeria’s pre-colonial past. Ade Adekola creates visual representations that go beyond what the eye can see. His ground-breaking work, Icons of a Metropolis, captures the dynamism of urban life, re-imagining figures on the street as 20 character archetypes, ‘icons’, conceived to define the spirit of survival that fuels life in Lagos. His works are worth experiencing. Jide is a gifted and professional photographer. He combines his love of photography with creativity to produce impressive travel photos that will inspire you to travel. Jide captures the ambience of everywhere he visits with some wonderful photography. He takes photos of beautiful places and events, giving each his own exceptional and exciting twist. He is well known for his amazing wedding shoots. Andrew is a visual storyteller. He captures scenes from everyday life in the urban landscape, exploring how personal narratives interact with wider social issues. Interrogating themes such as sexuality, football, gender politics and migration, his work blends the personal with the political. Esiebo’s work has been exhibited at Lagos Photo Festival, African Photography Encounters in Mali, and the Havana and Sao Paolo biennales. Moon is not just a professional Photographer but also a Creative artist. The talented 25-year old Graduate of Visual Arts and Technology, Cross Rivers State University of Science and Technology, started drawing at a tender age. He gets inspired by works from Jay. P. Morgan (Photographer), Karl Taylor (Photographer), and Michael Angelo (Artist). He is also very good at Paper art, a type of paper collage were different colours of paper are put together to create great pieces of artwork. In addition, he creates movie props and hopes to add furniture making into his list of creative works. Lakin Ogunbanwo’s images are characterized by their striking use of colour, light, and angles. The fashion photographer takes portraits of men and women, transforming their body into a work of art with his defiant, and sometimes, playful gaze. He has shot some of Nigeria’s biggest names, including Chimamanda Ngozi Adichie, and his work has been exhibited at Lagos Photo Festival, Art 14 in London and the Rooke and van Wyk Gallery in Johannesburg. 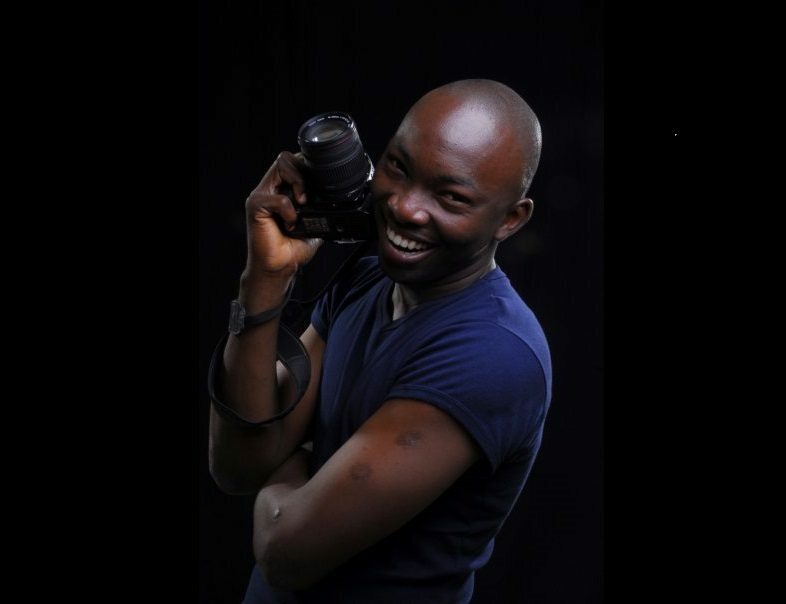 Shola Animashaun is one of the most respected and successful photographers in Nigeria. He creates boundless inspiration for eye-catching photographs. He shares his adventures with beautiful images, from the metropolis of Cairo to the beautiful city of Rio de Janeiro. Not only does Shola shoot great photos, he provides detailed information about the area he is visiting.He is the brother of Ayo Animashaun, owner of HipTv and most of his clients are celebrities and TV personalities. Lola Akinmade-Åkerström is an avid photographer and professional travel writer, whose gorgeous portfolio showcases her love for travel. For a travel inspiration, a visit to Lola’s Image bank is a must. She captures images that reflect the real identity of a destination. Lola’s portfolio contains scenic photos of places and people on her frequent travels. James Iroha Uchechukwu was born in 1972 in Enugu and has a career in Photography and sculpture spanning two decades. Currently, he is the director of Photo Garage, a Lagos-based platform for Nigerian and global intellectual photography exchanges. He is also the director of Depth of Field, the collective that has influenced the likes of Uche Okpa-Iroha and Emeka Okereke and other younger generation of photographers. This man has been celebrated with the Elan Prize at the African Photography Encounters in Mali, 2005, for his work; Fire, Flesh, and Blood, and he was awarded the Prince Claus Award in 2008 for his work in supporting young artists and promoting photography as an art form in Nigeria. After spending most of her childhood in Germany, a trip back to Nigeria inspired Yetunde Ayeni-Babaeko’s fascination with traditional Yoruba culture. Her photographs reflect the mythology and storytelling tradition of the Yoruba people. She currently runs Camara Studios in Lagos and has turned her lens to using art as a change agent, in particular using photography to document and educate women about breast cancer. Devesh Uba is an Indian-born street photographer who resides in Lagos. He’s lived long enough in Nigeria to become a citizen. Uba provides stunning photos of places in Nigeria and the “Naija” ways of living that we don’t often get to see. Devesh’s amazing images will take you on a voyage through different parts of Nigeria most especially Lagos city. Tom is a documentary photographer and photojournalist who loves to travel and frequently shares stunning photos from different destinations in the world. He has an incredible experience in taking spectacular travel pictures which will inspire anyone to travel. Juju Films shares a passion for travel by providing stunning photos, based on the unique beauty of places and people around Nigeria and Africa. Juju Films provides stunning moments ranging from gorgeous waterfalls to the magnificent mountain ranges through photography. Bayo is one of the reigning ‘King of Photography’ in Nigeria. He captures powerful images of places and people in Nigeria. He wanders the cities of Nigeria, sharing images and stories in real time from the streets. Bayo Omoboriowo photography unfolds different cultures, people from different parts of Nigeria. His images will inspire you to visit these places, see their cultural identities and understand it. Just like Uche James-Iroha, Uche Okpa-Iroh was also born in Enugu and was inspired to pursue a career in photography after seeing an exhibition by the pioneering Nigerian collective, Depth of Field, in 2005. His work has achieved international attention for his arresting images of humans documenting pressing social issues. His first major project, Under Bridge Life, won the Seydou Keita Award in 2009 and in his most recent project, The Plantation Boy, he presents an incisive challenge to the Western gaze by inserting himself into stills and staged re-enactments from Francis Ford Coppola’s iconic film, The Godfather. Lola Cameron-Cole’s powerful and bright images from all over Nigeria and several parts of the world have earned her a reputation as one of the most admired photographers in Nigeria. Her snapshots of places and people she came across during her travels are fascinating and inspiring. Nick Cavanagh is a commercial photographer, but he also shares our passion for travel. His incredible photos of destinations in Ireland and Africa will instantly excite and inspire you to travel. He currently lives in Abuja, where he provides us with snapshots into the city life. Each of Nick’s photos showcases his ability to capture the stunning landscapes in a unique way. Demi is a wedding photographer with a keen interest in travel. His portfolio is full of inspiring travel photos with bright colours. His travel portfolio will take you on a virtual tour through some of the most beautiful places he visits from around the world. Marvin Keyz is among one of the good Lagos-based Photographers in Nigeria. He also shuttles around other countries for regular motion and still captures. He is a cinematographer and majors in music videos, short films, and Christ Embassy’s Love world productions. The Warri-born graduate of Estate Management from the Enugu State University of Technology is a seasoned Photographer and Film Maker who has a flair to capture, people, places, and events. Emeka Okereke has continued to push the boundaries of contemporary African photography, even after winning the Best Young Photographer award from the AFAA Afrique en Création in the fifth edition of the Bamako Photo Festival. He founded Invisible Borders, an annual photographic road trip across Africa involving a team of artists and photographers to explore new ways of portraying the continent and transforming African society.